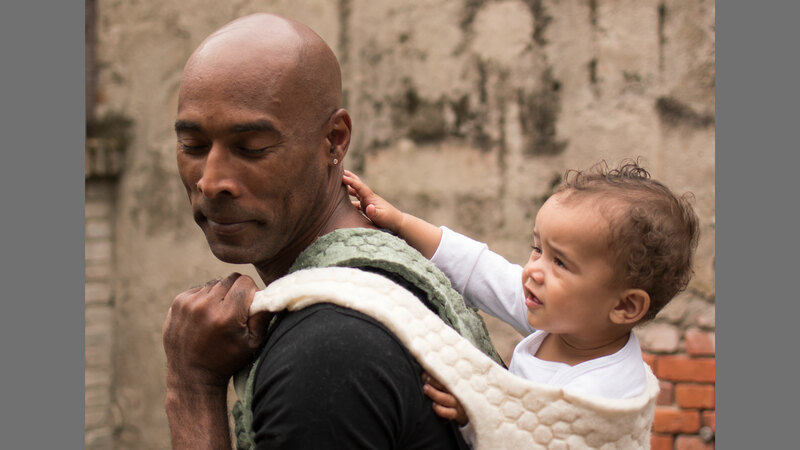 Tailor-made baby-carrier that can be produced in the Netherlands with a special soft bio-composite material. With a unique manufacturing technique using bio composites, Bas Froon shows new opportunities to bring back industrial production of labour-intensive ‘soft’ products to local manufacturers. 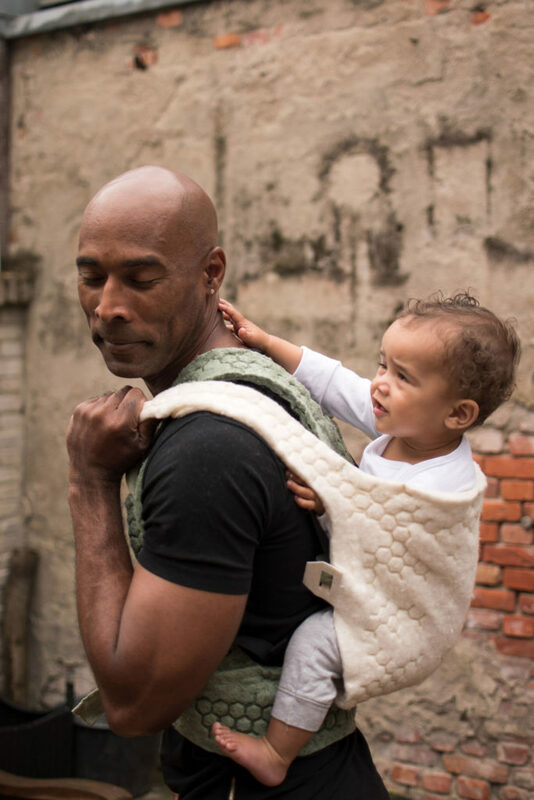 At the KABK Graduation Show 2017 and the Dutch Design Week 2017 he presented his conceptual ‘micromoulding’ machine and a first application: a velvety soft and tailor-made baby carrier made of this special and sustainable material. With a unique manufacturing technique using bio composites, Bas Froon shows new opportunities to bring back industrial production of labour-intensive ‘soft’ products to local manufacturers. 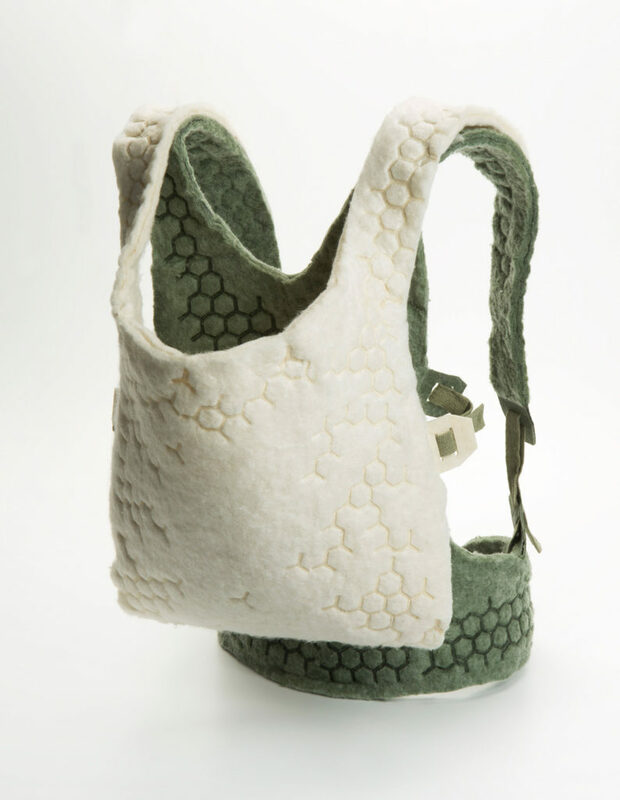 At the KABK Graduation Show 2017 and the Dutch Design Week 2017 he presented his conceptual ‘micromoulding’ machine and a first application: a velvety soft and tailor-made baby carrier made of this special and sustainable material. 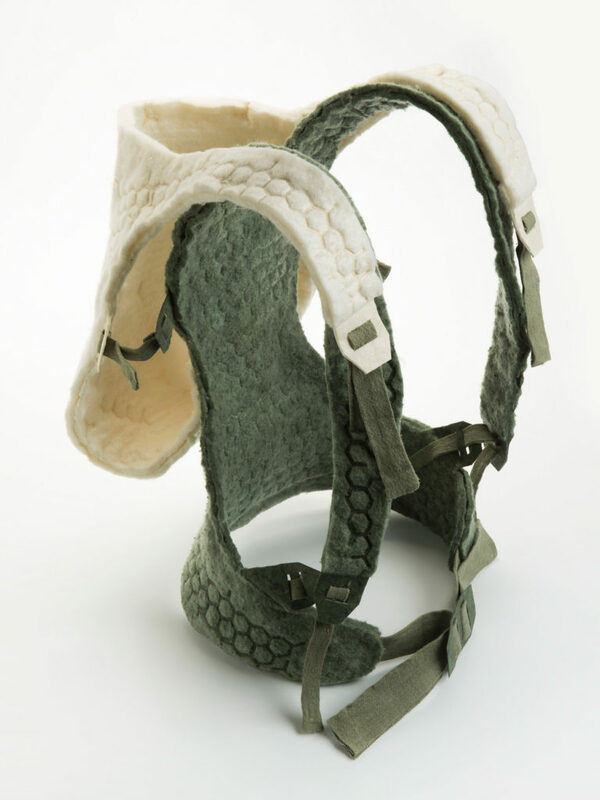 Bas Froon graduated at the Post Graduate Course Industrial Design of the Royal Academy of Art The Hague. Most baby carrying products are ‘one size fits all’ and therefore have a very poor fit – you need to strap flexible belts very tight in order to carry 10+ kg safely around. What if you can use digital customisation techniques to produce a more supportive and tailor-made carrier? This design features a strong and flexible composite backframe based on the size and shape of the back of the parent. Its covered at both sides with a soft layer of the same composite material. the micromoulding process gives the soft material strength. By using digital designs , each product can get’s it’s unique pattern. The pattern is not only esthetical: the density of the pattern influences the amount of flexibility and stretch in the material. Customisation in size, but also level of support or flexibility is therefore possible. 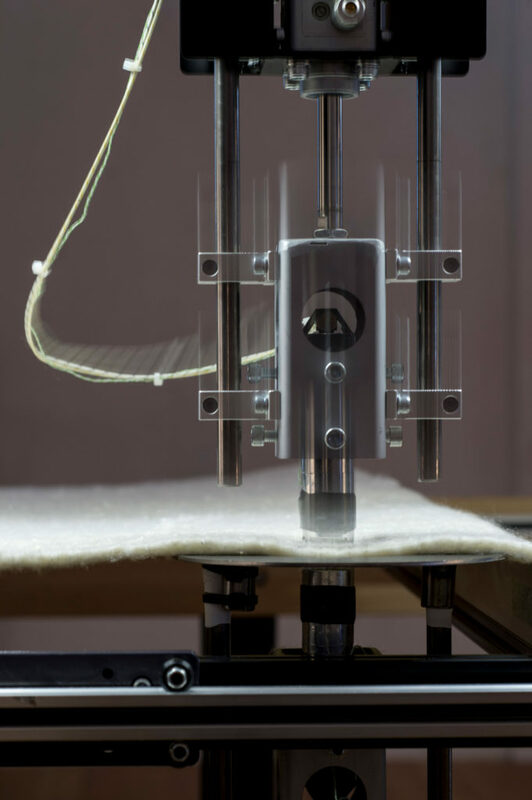 Bas developed a ‘micromoulding’ machine that makes it possible to locally change material qualities from a velvety soft material into a strong and lightweight biodegradable plastic. Using a personal 3D scan or custom computer design, each product will be tailor-made and unique. More information about this design concept or micro moulded products?